The surnames Curtius, Curtze, Korte, Kurtz, Kurtze and Kurz etc. are all Germanic language surnames and mean "short" in English. Mr. Short in England would be the equivalent of Heer Kort(e) in the Netherlands and Herr Kur(t)z(e) in Germany. There are many spelling variations of the surname, but the six aforementioned are amongst the most common versions. There can be a muddle between the meaning of 'Little', 'Short' and 'Small'. But essentially Short means a person of low stature but perhaps of stocky build; in Dutch or German Kort(e) or Kur(t)z(e) (Latinised as Curtius); whereas Little or Small are essentially for someone of slender or thin build; in Dutch or German called Klein, Kleen or Lutteke etc. The surname can also be found conflated with the Dutch names Coerts, Koerts, Koers, etc. which has an etymology stemming from the given name Konrad. To be sure whether you are a "short" or a "Konrad" you need to undertake genealogical research to determine from original records the spelling used for the surname in relation to the place your ancestors lived and the context in which the surname is used. There are other surnames that could conflate with Kurtze such a Court(e), Kord, Kors, etc. so be careful to examine the possibilities with an open mind. To illustrate the problem of determining the true meaning of your surname I can use my own ancestors who lived in Zwolle, Overijssel, The Netherlands. My direct paternal ancestor was Daniel van Someren; for some obscure reason he and his siblings changed their surname from Kurtze to Van Someren in the early 18th century. Daniel van Someren was born as Daniel Koerts the son of Christiaan Koerts and Lena Beerends, but through detailed research I found that Christiaan Koerts (meaning Konrads in Dutch) was in fact identical with a Christian Kurtze (meaning Short in German). In the Dutch archives in Zwolle Christian Kurtze was recorded in several documents, but his surname was written down in various spellings; by German Lutheran church officials as Kurtze (Short) and later by Dutch Reformed Church officials and city municipal clerks in their Dutch interpretation of his German surname as Curtse, Koerts, Coerts, Koers, Coertsen, Cours and Coertsz (Konrad's son). So this is an example of how I originally thought the surname was Koerts stemming from "Konrad", whereas through further detailed research I discovered it was Kurtze stemming from "Short". 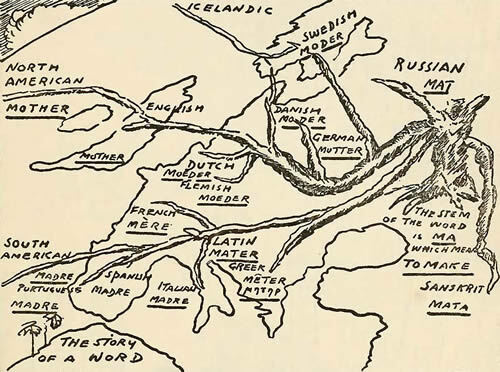 To heap on more confusion, the northern Netherlands, Germany and Scandinavia also used the patronymic naming system, so the progenitor of the Van Someren / Kurtze family could have been a Konrad Kurtze! And his descendants could have adopted the patronymic system and used Konrad for their new hereditary surname; or was he a short (Kurtze) Konrad and his descendants used his nickname Kur(t)z(e)? These examples are looking for more obscure naming possibilities, but you should be open minded about how the name could be formed and assess all the evidence and not just accept what is perhaps written in a book about surnames without actually unravelling your own individual ancestry. There could of course be other families who were originally a Curtius or one of its' variants who do not know of their name-change and equally there could be some Curtius families who were originally surnamed something else. To help unravel the true identity of a family we now have the great scientific knowledge provided by the simple and speedy Y-DNA test, which can categorically show a link between people even though they use different surnames and live in geographically different locations; with the added ability to mathematically work out when they shared a common ancestor; perhaps a few generations ago or thousands of years ago in a far off land. Cort, Corte, Cortum, Curtius, Curti, Curtze, Curtzius, Kort, Korte, Kortum, Kortüm ("kurz um"), Kortz, Korzer, Kuertz, Kurcz, Kurrtz, Kurts, Kurtz, Kurtze, Kurtzius, Kurz, Kurze, Kürz(e)l; and also for my name-changed family of Van Someren and Van Zomeren there is Curtse, Koerts, Coerts, Kurtze, Koers, Coertsen, Cours and Coertsz. In addition the Short (Kurtze) family can be conflated with the Little (Lutteke) family and I have found this in the archives of Bremen where someone surnamed Korte was also called in Latin Brevis and Parvus, which is the Latin for Little (Klene / Lutteke). This website will be of interest to anyone with these phonetically sounding surnames. Sometimes the surname comes with a preposition such as the Dutch surname Korte found as "de Korte" or the German surname Kurz found as "Von Kurz"; but more generally it is a surname standing alone without the aid of a preposition. A particular problem with some Dutch bearers of the surname Korte etc. is that they may not be particularly ancient surnames. If your Dutch ancestors came from generally the North part of the Netherlands and in particular the provinces of Friesland, Drenthe and Groningen, then there is a high possibility that their surname dates back to the early 1800's; prior to that period the patronymic naming system was in common use. This also applies to Ost-Friesland in Northern Germany and to a greater or lesser extent to several other areas in the Netherlands, Germany, Denmark etc. The only sure way of discovering how ancient is your surname, is to trace your ancestry generation by generation. As an example, my paternal grandmother was Hinderkje Korte and she was born in 1899 in Wedde, Groningen, The Netherlands; her great grandfather was Hindrik Alberts, the son of Albert Harms and Marieke Everts and was born in 1799, but his military service record dated 1823 shows that he was using the surname Korte and this passed to his descendants. He probably adopted the surname Korte simply because he thought he was short; his military service record states that he was 1.675m tall (5' 6"), that seems a below average height to me, but maybe by the standards of the tall Dutch it was really short? Or maybe it was his father Albert who was short, although Albert never used Korte as his surname just the patronymic Harms, which was his father's forename. Given name: Those that take their meaning from an ancestors' given name (a patronymic), such as the children of a Johann or Jan being surnamed Jans, Jansen, Jannes, Hans, etc. Location name: Those that take their surname from the place where they live, whether it be a farm, the name of an inn or house, a town, city, district, country or feature; such as Schwarzberg, Van Someren, Von Dillingen, Waldeck, etc. Occupational name: Those that have an occupation; such as Bäcker (Baker), Rebenstock (Vintner), Timmermann (Carpenter), etc. Nickname: Those that are given a nickname such as; de Grote (Large), Klein (Little), Korte(Short), Schwarz (Black (hair)), etc. My own paternal ancestors used the surname Van Zomeren and Van Someren, but they had changed their surname in the early 17th century and were originally called Kurtze; but I have opted to use the Latin 'Curtius' version of the surname when referring to the surname generally in this website rather than repeating the whole host of variants. By building a large Y-DNA database of those people surnamed Curtius, Curtze, Korte, Kurtz, Kurtze or Kurz etc. it will eventually be able to clarify what is the sure Y-DNA signature of the surname for a particular family from a specific area. Perhaps some people who may think they are a Curtius find out that their Y-DNA is not related to any other Curtius Y-DNA, which could indicate that they have a more unique Curtius heritage or they are not a Curtius at all; their Y-DNA test may show that they are in fact related to another surname group. Some may indeed be genuine Curtius's but just have to patiently wait for someone somewhere to take a Y-DNA test that will match and therefore confirm their own surname. The information in this website owes an acknowledgement to the wonderful contribution from Wikipedia and other specifically named sources throughout the web pages in this website; please donate some money to Wikipedia to help keep access to their website freely available; we would all miss it if it were gone!